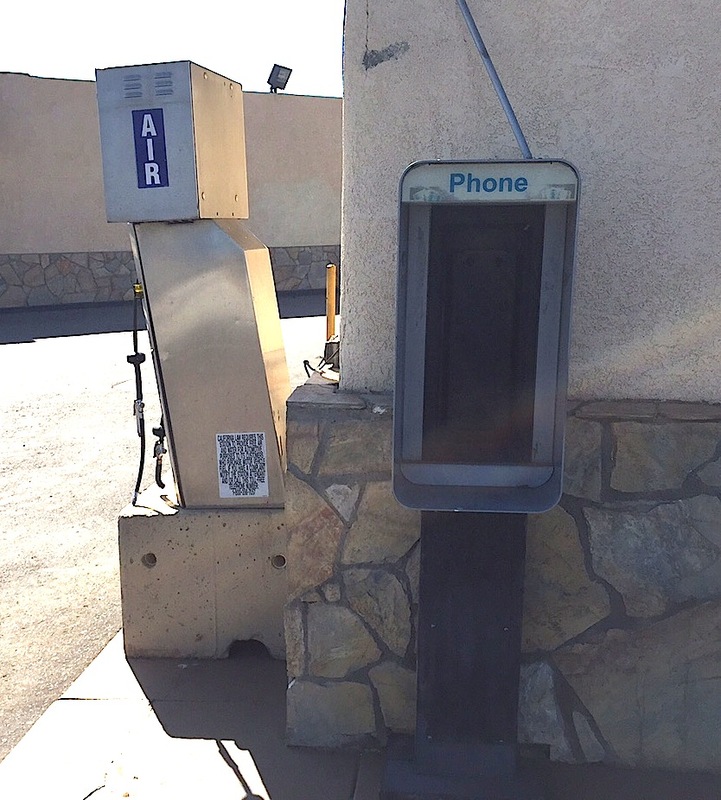 Where have all the payphones gone at Pala Vista Gas? “A payphone (alternative spelling: pay phone) is typically a coin-operated public telephone, often located in a telephone booth or a privacy hood, with pre-payment by inserting money (usually coins) or by billing a credit or debit card, or a telephone card. Abandoned payphone shell at Pala Vista Gas on Valley Center Road. Around the Big Apple, Google Sidewalk Labs is replacing them with free city-wide Wi-Fi. In Ireland, units now are used less than once every two days. They’re shunned in L.A., out of touch in South Jersey and all but forgotten in D.C. where a recent report considering the demise of public water fountains described them as going the way of this entity. The Las Vegas Review Journal last month asked if kids even knew what they were. Payphones. Or pay phones. Whatever you want to call them, they’re about as dead as the Dodo bird and almost equally difficult to find. 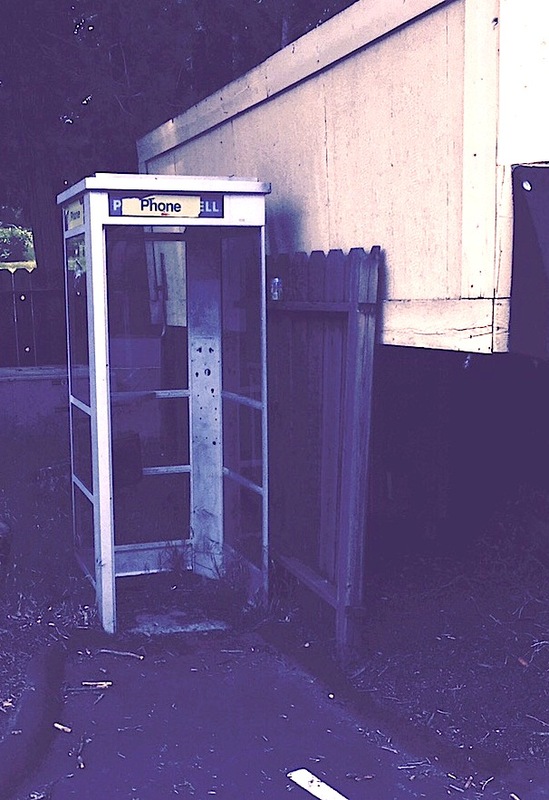 Where have all the payphones gone? When’s the last time you used one? Or even saw one? Mike Bachu and Anaid Nissan at Pala Vista Gas say people wander in hoping to use a phone and find none. They can’t, though, because inside the store, the cell phone is private. And outside, one of the few remaining payphone boxes sits idly by, wires and post-it notes in lieu of phones. .
That bit of dial “N” for nostalgia was all she wrote for the practically extinct public payphones around Valley Center from Valley Center Road clear on out to Pauma Valley and Palomar Mountain. They are no more. The Payphone Project, sponsored fittingly enough by another dying,or dead, phenomenon, VoiceNation Live answering service, has tracked U.S. wand international payphones, or what’s left of them, since 1990. An online database contains half a million numbers. Payphone Project listed four local payphones, including the two at Pala Vista Gas Station, 29200 Valley Center Road, although it repeats one listing for a total of three. 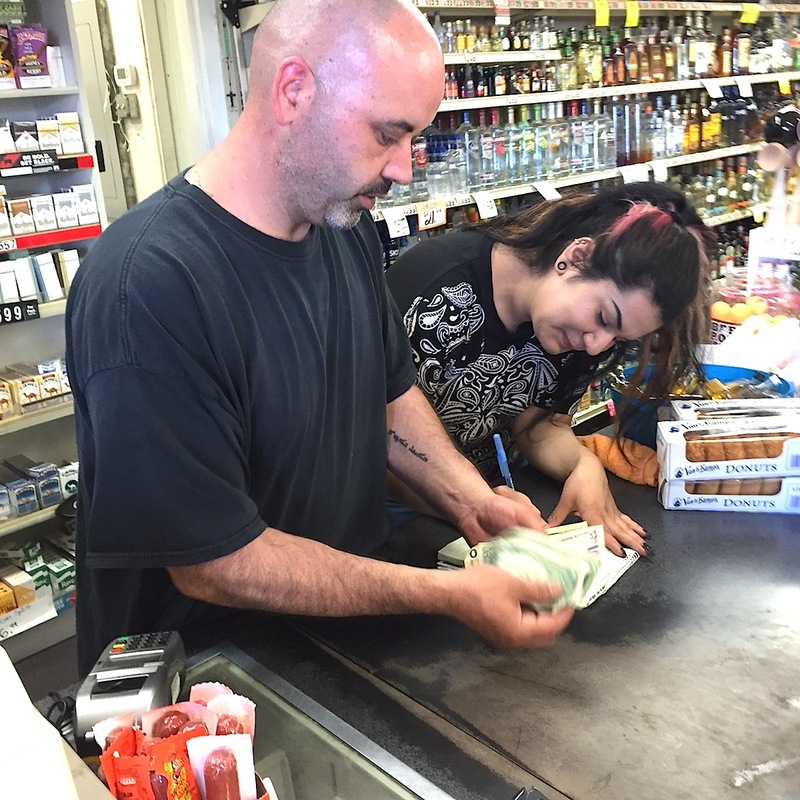 A fourth phone is listed for Rancho Market, 27315. Sorry Charlie, no phone there; nor market for that matter. Payphone alcove at Harrah’s Resort southern California. With all due respect, payphones do exist around Valley Center, but only in the surreal environment that are the local casinos. 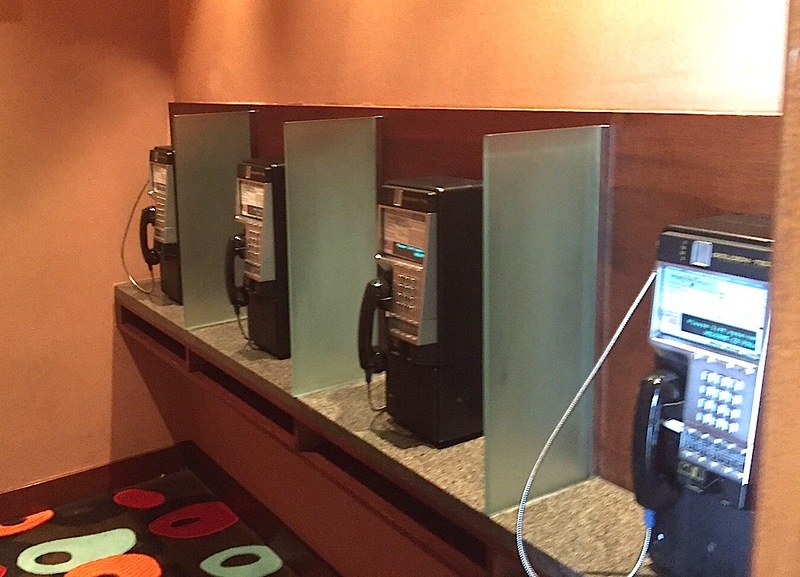 Harrah’s Resort Southern California has a special old-time 1980s-style alcove with a half-dozen such phones. But the casinos are hotels as well, so does that really count? Otherwise, driving around Palomar Country, don’t even think about looking for a public payphone. They simply aren’t there. For the record, advancements in mobile communications technology and reductions in price have put the payphone on the endangered species list, and the latest figures show how quickly they are vanishing. Payphones in the United States numbered 243,487 at the end of last year, the most recent figures available from the Federal Communications Commission. Ten years earlier, more than 1.7 million were installed across the country with more than 2 million at the turn of the century, according to the FCC. Most of California’s 27,000 pay phones were concentrated in Los Angeles County, the San Francisco Bay Area and along the Interstate 5 corridor, according to the Public Utilities Commission. Pay phones used to be operated by major companies such as AT&T and Verizon; now the industry has been left to smaller businesses. For the 10 percent of American adults who don’t own a cellphone, according to the Pew Research Center’s Internet Project, payphones are a lifeline. For the other 90 percent, they’re reliable during natural disasters like earthquakes and hurricanes, when cellphone service can be disrupted. Pacific Telemanagement Services has become the largest payphone provider in the country. It owns almost 30 percent of California’s phones. Most phones can be found in high-traffic areas such as airports or in low-income communities, said Mike Zumbo, the company’s cofounder and president. The first public coin phone, as they were then called, was installed in 1889 by inventor William Gray, according to AT&T. Users would pay an attendant after the call was made. The booth that often surrounded the phone offered privacy — something to be cherished, especially in the middle of a bustling commercial area, according to historians. The first booths were made of wood and found in the lobbies of public buildings. They were replaced with glass in the 1950s and became more common on street corners. Travelers and others caught in the rain could use the booth as shelter until the storm passed. Eventually, the glass booths disappeared, leaving stunted kiosks in their place. But by that time, the phone booth’s status as an American icon had been cemented, namely for its starring role in the Clark-Kent-to-Superman transition, some said. Palomar Mountain Store’s payphone was taken out about two years during a dispute over phone fees.